As the Sarasota County commissioners prepared to begin their approximately month-long summer break at the end of last week, Commissioner Carolyn Mason took the opportunity to reprise a matter she had raised in May: The board should be hearing regular updates from the two key people heading up the preparations for the 2017 World Rowing Championships. SANCA manages the events at Nathan Benderson Park, the county-owned facility where the 2017 international event will be held Sept. 23-30. Mason’s similar comment on May 11 followed a presentation to the commission by Meredith Scerba, director of the 2017 World Rowing Championships, and it came on the heels of the April resignation of Paul Blackketter, who had been the SANCA president for several years. Commissioners Al Maio, Christine Robinson and Charles Hines supported Mason then, stressing that the presentations needed to begin before the board started its summer recess. 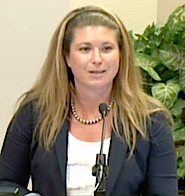 Just as they were concluding that discussion, Harmer told the board it appeared the first of the monthly updates could be scheduled for June 8. 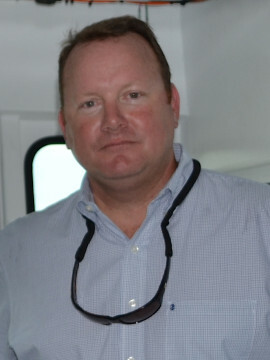 The chair is Bill Robinson, co-owner of Fit2Run, according to the Nathan Benderson Park website. Harmer added that Bill Robinson had offered to schedule one-on-one sessions with the board members. He had told Robinson, he pointed out, that while the commissioners might be interested in those, the private meetings would not replace a public presentation. He added that Robinson would update the board on the transition with staff leadership and the business plan for the World Rowing Championships. Mason also had made the request for that action. 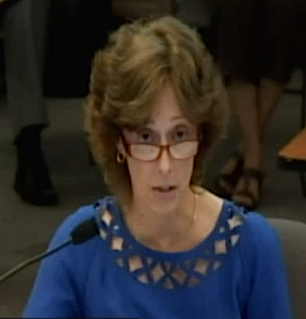 In May, Scerba told the commission the revised budget was $9.3 million, but she emphasized that no additional money was expected from Sarasota County or Manatee County, with each already having committed $2.78 million from Tourist Development Tax revenue. A local artist had been commissioned to do the work, the memo noted. Furthermore, the update says that the World Rowing Championships co-chairs have been named. They are Rod Hershberger, chair and CEO of PGT Industries, representing Sarasota County; and Ed Chiles, CEO of The Chiles Group, for Manatee County. In a related matter, the County Commission on July 12 unanimously approved increasing its annual reimbursement to SANCA from $200,000 to $254,500 for routine park maintenance. That action came as part of the board’s approval of its Consent Agenda of routine business items. 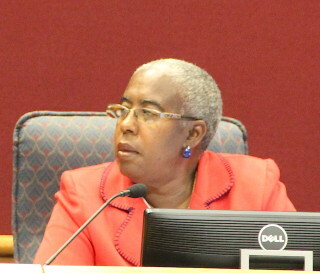 A July 12 memo from Brown, the Parks, Recreation and Natural Resources Department director, explained that in March 2014, SANCA and the county entered into a licensing and operating agreement to give SANCA full authority to host events at Nathan Benderson Park and to maintain the facilities. Since then, Brown continued in the memo, “maintenance of [the park] has proven to be more costly than anticipated” — especially in terms of dealing with invasive vegetation — so SANCA requested the increase. On July 14, 2015, the board voted to give SANCA an extra $54,500, the memo notes. The amendment before the board on July 12 “provides additional funding in the approved amount beginning October 1, 2015 and continuing through the term of the Agreement,” the memo says. The original agreement says the term will end on Sept. 30, 2019; however, it can be extended another 10 years beyond that date. Finally, the amendment “includes language regarding employee and representative conduct” that is part of “various County agreements,” Brown notes in her July 12 memo. Prior to former SANCA President Blackketter’s resignation, a YouTube video of an angry exchange between him and another man — filmed at the park — went viral. In it, Blackketter used foul language. Blackketter apologized to the SANCA board and vowed to get professional help to manage his anger issues. For the citizens’ sake, I hope this arrangement will work to benefit Sarasota and the athletes, but the path has been worrisome. Having been asked to make reports on issues to the top levels of government, with 24 hours or less notice, I do not like the “smell” of this.